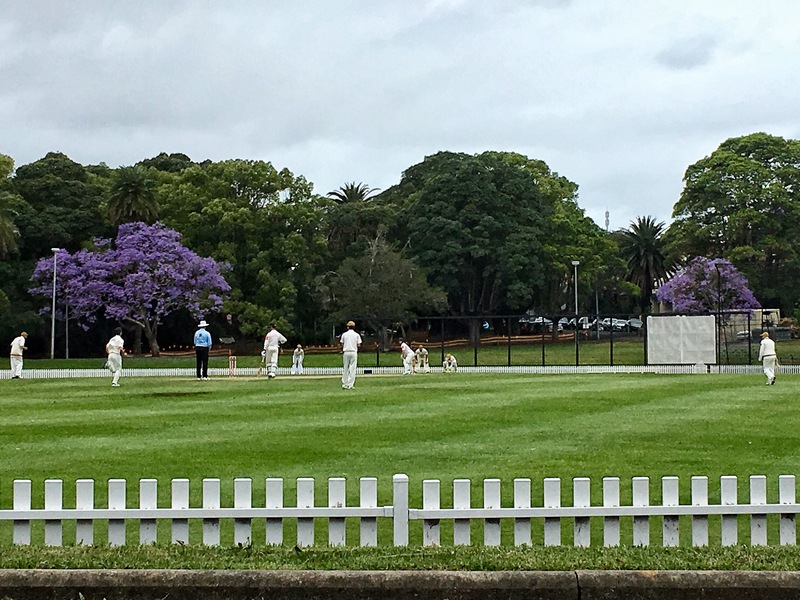 White picket fence and cricketers. 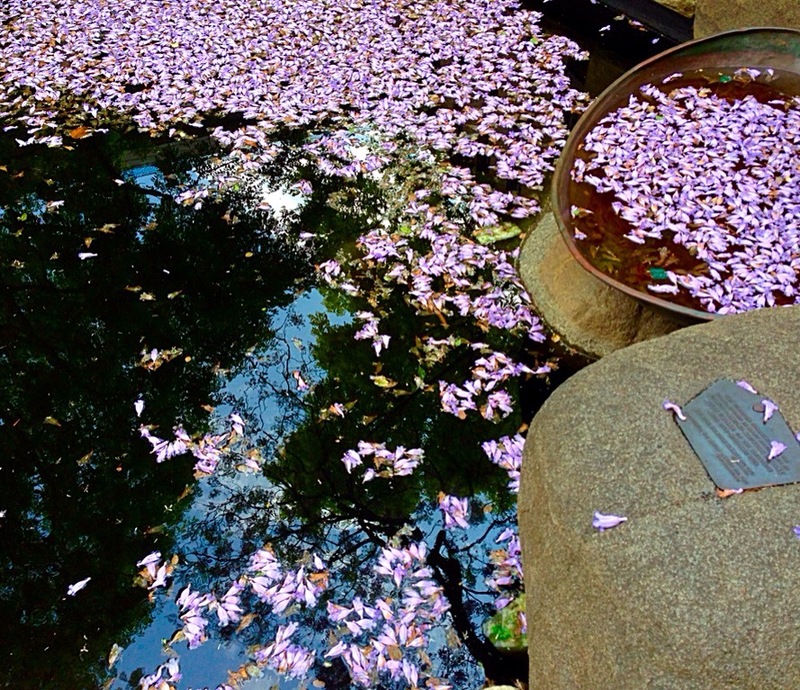 The perfect accent to verdant green grass and purple jacarandas. Gnarled jacaranda tree, Petersham Park. This old Jacaranda provides shade from the noon sun. It’s feather like leaves gently undulate, caressing the breeze. 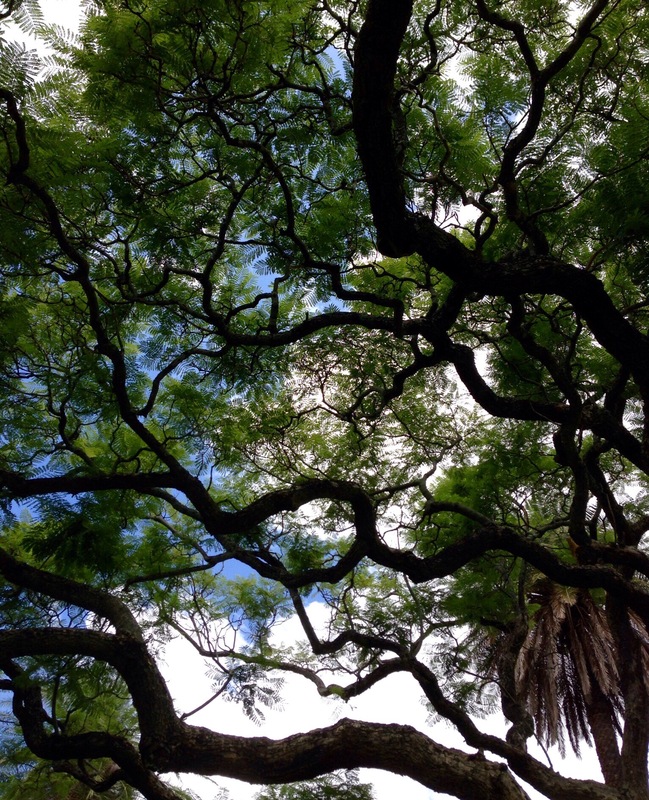 Here is a post about the shadows cast by the Jacaranda’s branches in Spring. When my mind is grappling with burdens nature lends a hand. 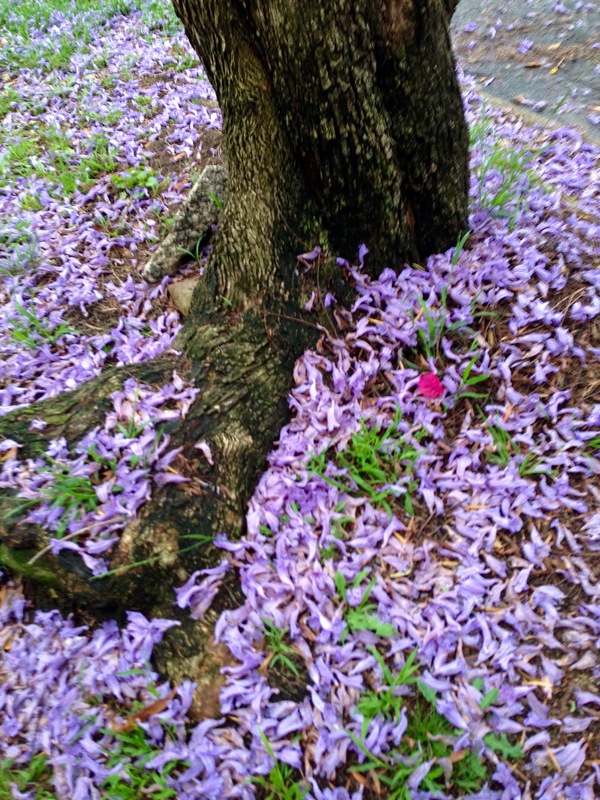 This carpet of purple-blue jacaranda petals marked a path towards home. This jacaranda’s flower buds are about to burst forth, Petersham Park, Sydney, Australia. 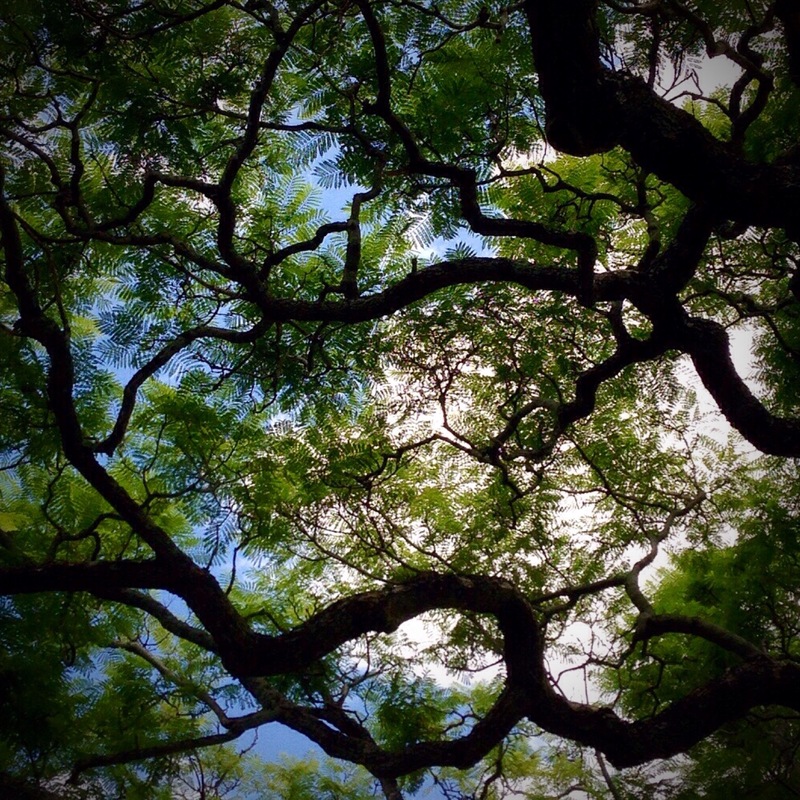 The tree’s branch system is a twisting and tortured sight. 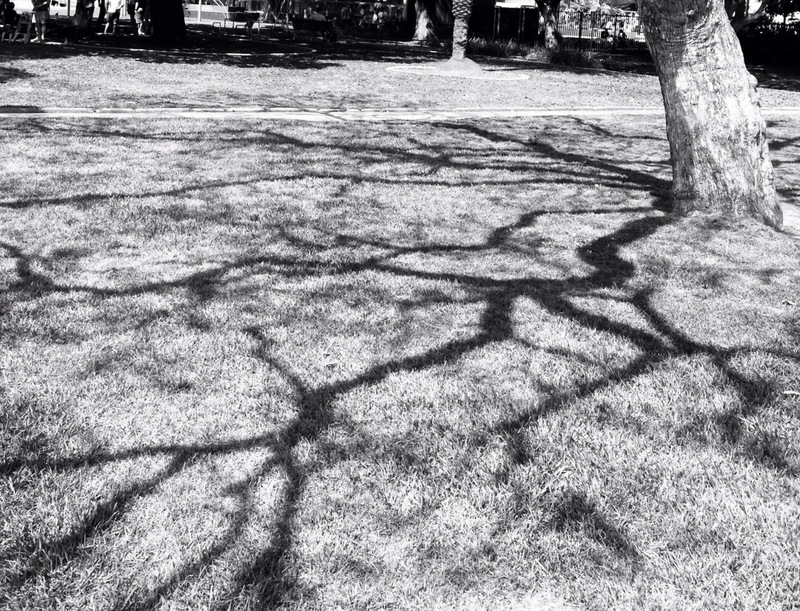 I like the shadows on the grass; I have accentuated them with a noir filter. 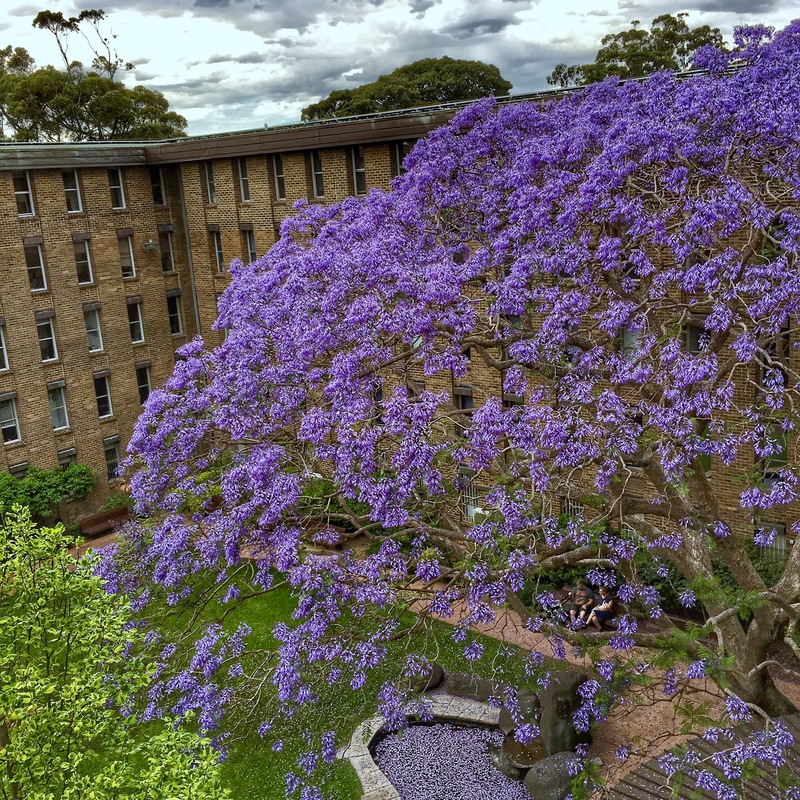 Over the last few weeks I’ve been admiring the regal colour of the flowers of the jacaranda trees. This one is located on the upper campus of UNSW, Sydney, Australia. 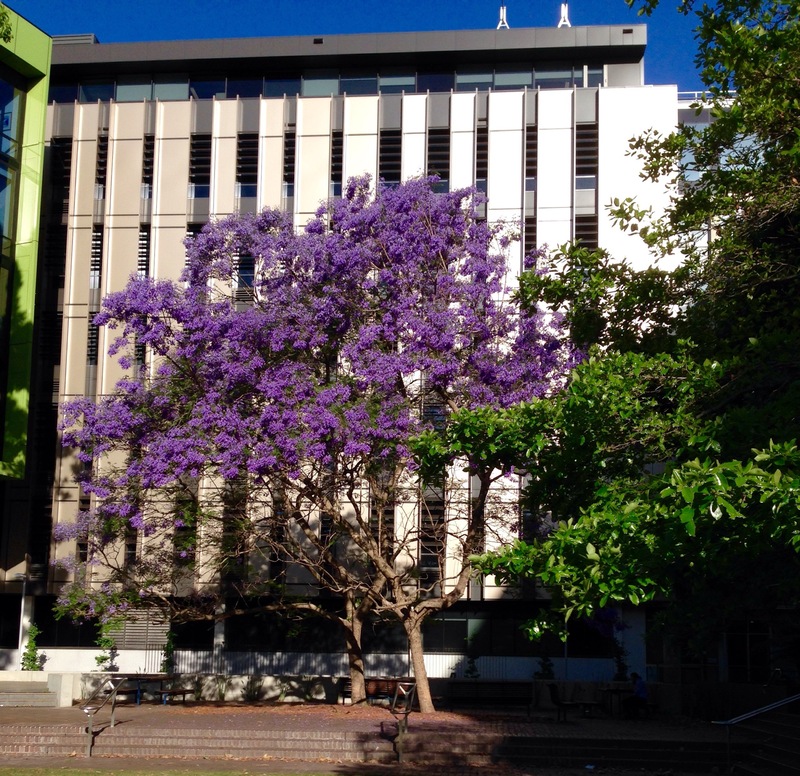 One of the Faculty of Medicine’s buildings provides contrast in colour and form. 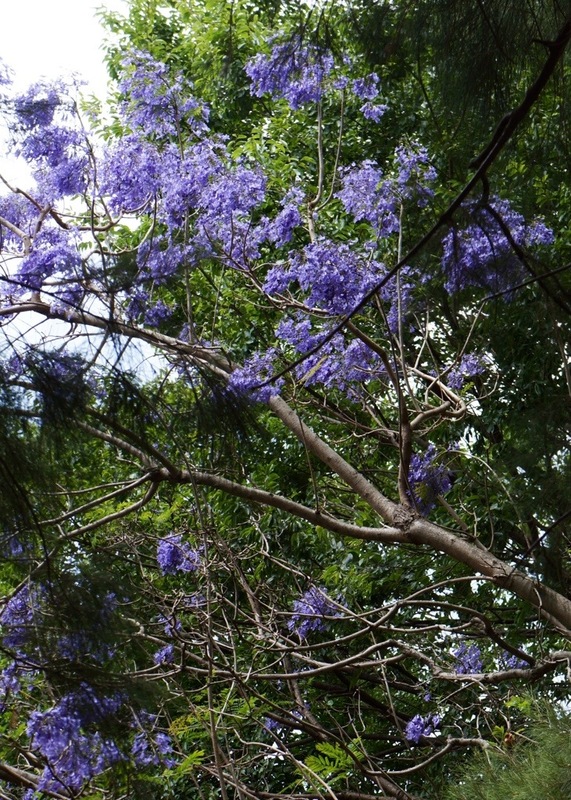 One of my favourite sights of Spring in Sydney is the blue flowering Jacaranda trees (Jacaranda mimosifolia). The challenge is to take a photograph with a darker background as the colour gets lost against the blue sky.